Apachebooster, An advanced cPanel plugin, tailored to improve the gross server performance of Apache Software. Blended with Nginx and Varnish, Apachebooster helps in improving the website loading speed and the processing speed of the server by speed optimization techniques. "Most Cost Effective cPanel Plugin for Improving Website Efficiency "
My favorite part about this product is that it dramatically improved client website speeds without the quality of the website being compromised. It's a much more practical solution to faster loading speeds than trying to minify files and compress images. I wish there was better security on the plugin. Probably would not recommend for companies that have clients with highly classified information. There are known security issues that seem to be going unfixed for quite a while now. Apachebooster speeds up my websites by increasing the server speed, which is one of the hardest ways to minimize website speed. It takes the stress out of server-side hosting and made it so I didn't have to switch to a different hosting provider for faster speeds. 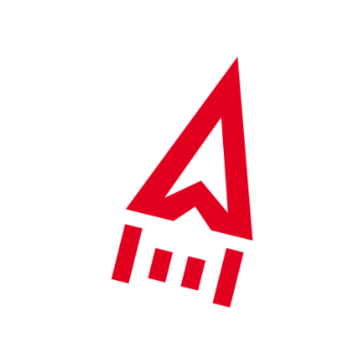 "Great plugin to boost web app speed"
ApacheBooster helped our project to boost up the speed and performance of the application.This is simple plugin with great features. Documentation can be improved. Expecting more components around this area.If documentation is increased it will be helpful to use services with minimal efforts. Strongly recommended product to all applications. This product resolved our issue with performance related issues. its easy to inject plugin and manage API with great services. What Web Server Accelerator solution do you use? Lighttpd is an open-source web server optimized for speed-critical environments while remaining standards-compliant, secure and flexible. Squid-Cache is a caching proxy for the Web supporting HTTP, HTTPS, and FTP. It reduces bandwidth and improves response times by caching and reusing. Cherokee is a feature rich, lightning fast and easy to configure open source web server designed for the next generation of highly concurrent secured web applications. Caddy is a HTTP/2 web server with automatic HTTPS. Dynamic Site Accelerator provides improved reliability, offload, and network performance over your original web infrastructure, while handling the specific requirements of dynamically generated content,without a costly hardware build-out. Using real-time network optimizations and advanced caching techniques, it speeds and secures interactive websites, helping you scale immediately and easily meet sudden needs like holiday shopping or flash sales. PernixData offers software that virtualizes server-side flash to enable scale-out storage performance. Seminole is an embeddable webserver toolkit. Varnish Enterprise offers a host of unique features that help optimize your web performance, scalability and content delivery. * We monitor all ApacheBooster reviews to prevent fraudulent reviews and keep review quality high. We do not post reviews by company employees or direct competitors. Validated reviews require the user to submit a screenshot of the product containing their user ID, in order to verify a user is an actual user of the product. Hi there! Are you looking to implement a solution like ApacheBooster?